Have you ever wondered why many Japanese people carry transparent plastic umbrella? 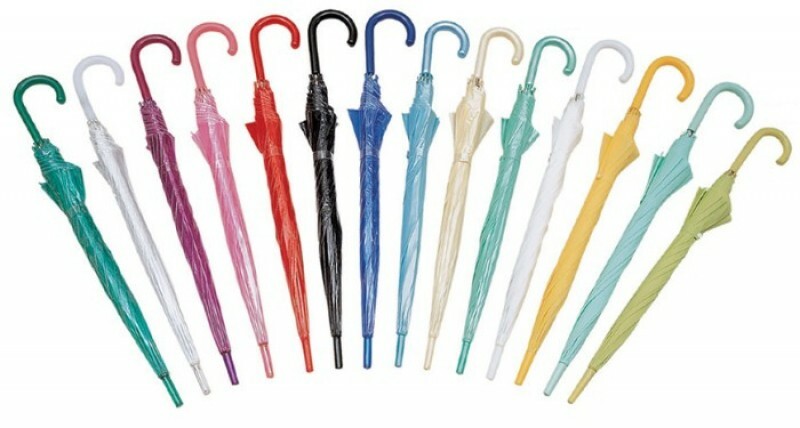 It´s a really good invension and here is a history of plastic umbrella. This is the fourth series of Don´t Make Japanese Salaryman Work From Home. 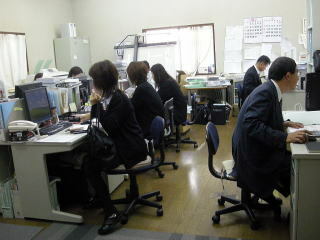 Japanese salarymen are so used to work in this way, so it´s normal they feel strange not going to the office. An employee of Panasonic who has worked from home once said “I was paranoid that people might think that I was sitting around at home and doing nothing”. For them, it´s much better getting on the packed train and working at the small desk even though it´s less productive than feeling paranoia. Now we can see that the biggest obstacle to expanding zaitaku (在宅/ working from home) is the principle of Japanese business; “being all together”. Why “being all together” is so important? Because in Japanese business system, there is no standard evaluation system. Which means there is no clear role or norm for each employee. As it´s mentioned in the previous articule, the main characteristic of Japanese business system based on the family structure is helping each other; “mutual help”. This can be a good system but at the same time, this system clouds each person´s role and evaluation. Having his or her own role and a standard evaluation system over their norm defines each employee´s responsibility. And this is quite uncomfortable for Japanese people because they feel like being blamed for their irresponsibility before people help them. With this way, it cannot be created harmony (wa/和in Japanese) between the society and there will be no family bond. This is how uncertain evaluation system has been created in Japan. The thing is that they didn´t need it because as long as people are all together, the system keeps functioning and at the end the work will be done, and that is enough, even enough for Japanese society. Also by doing this, all of them can get satisfaction of the work is done. On the contrary, this doesn´t work if they work from home individually. Since they don´t have their specific role, they don´t know what to do. Suddenly it becomes quite obvious that they are just killing time at home while they didn´t feel it when they were in the office. In this way it doesn´t make much sense for zaitaku. Since there is no specific responsibility, it´s hard to evaluate each salaryman´s work. On top of that, the person is not in the office and cannot see him/her. Then naturally it comes up a doubt “is he/she really working?” Of course, no one wants to work from home nor the companies don´t want their employee to be zaitaku. And this is the reality in Japan. If each one has their role and the evaluation system is clear, it doens´t matter where you work from, and zaitaku will become more common. Moreover the work productivity will increase. There is no reason for getting together for nothing. To make this happen in Japan, it´s necessary to change the concept of family bond in the business system in Japan. I´ve found this quite interesting. 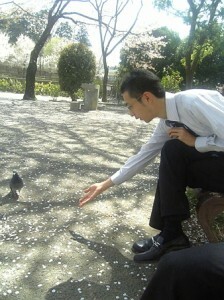 I know Japanese people are really concern about others and always care about how others think, see and say about them. But seems like they cannot live without being seen by others. Others have become so important that the presence of them seems to have become the way to evaluate themselves. Curious. Writing this in my cosy and sunny living room of my little flat with my dog under my feet and think, how lucky I´m not in the office right now. 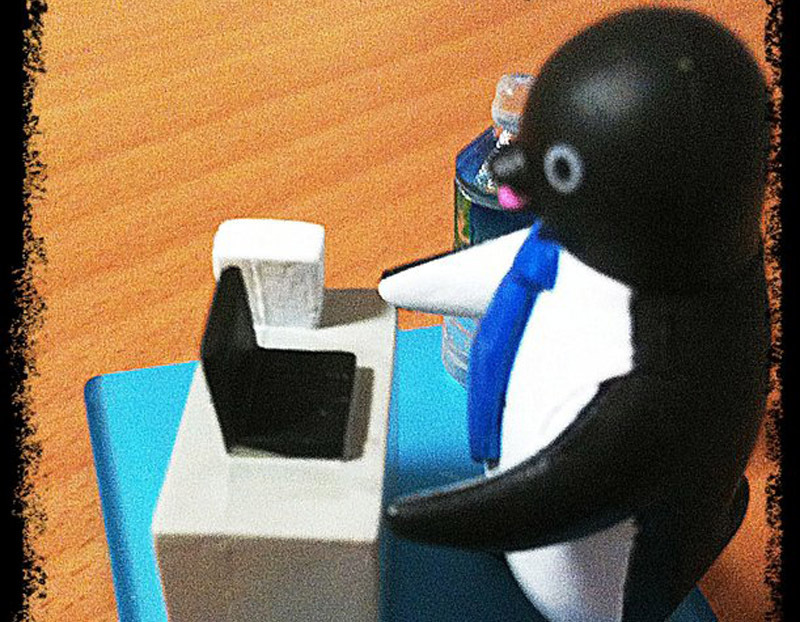 This is the third part of Why can´t Japanese salarymen work from home? from JB Press. It´s obvious that Japanese salarymen are using small houses as an excuse. Nowadays as almost all houses have an internet connection and there is no reason not to introduce zaitaku (在宅/work from home) system. 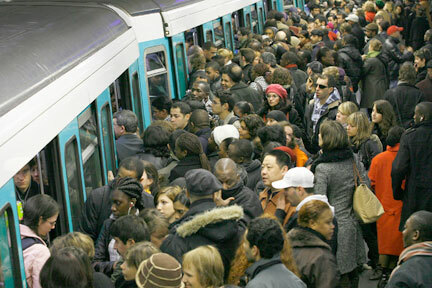 The companies encourage their employees to do and the productivity is higher, moreover they don´t need to get in those famously packed trains. There are so many good things about working from home, then how come Japanese salarymen are not so keen on it. This comes from Japanese mentality of “family”. Family should be seen to each other. According to the Panasonic e-Work promoting team leader, Ms. Nagaki, this is a matter of “mentality”. 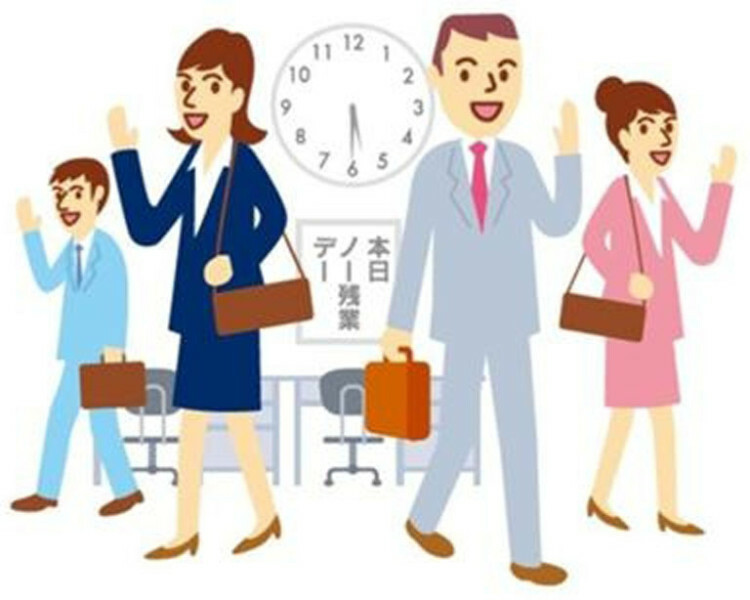 There is a very strong preconceived idea between Japanese salarymen that “if you stay until late in the office, people will have a good opinion of you and your boss will favor you over others”. Japanese companies are based on the concept of “family” and “fellowship” has been always very important. It´s believed that the sense of “being a member of the family” or “companionship” strengthens the sense of belonging and as a result, it will increase the capacity of each employee. And she adds, this concept did work in some period in the past. To be a member of the family or a fellowship, it´s important to show that you are working, you are taking a part. “Visibility” is the most important for Japanese society. The columnist says “although it´s undeniable this visibility takes a big part of the society, it´s not always the best way”. 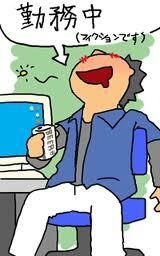 One of the disadvantage is “going to the office” has become job for salarymen. As long as they are in the office, even though they are just sitting at their desk and not doing anything particularly, they are considered to be “working”. The bosses also even thought they don´t control what their staff are doing exactly, as long as their staff are in front of them, they “believe” that they are completing their role as a boss. This is an extreme example but not too far from the reality. And this is not productive at all. However, the system keeps going by always someone covers others. 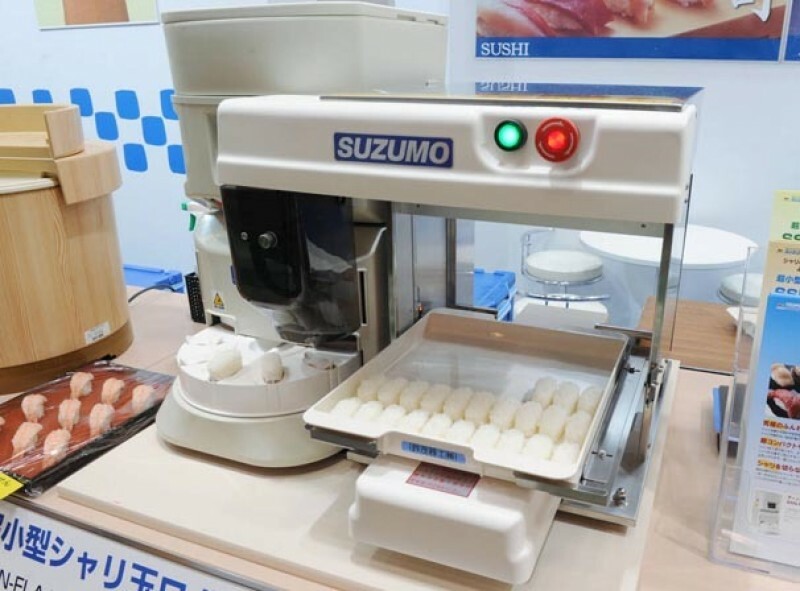 In this sense, Japanese business works on the premise that someone will do it. When we are little, we often do silly things or misbehave in the public space and this is normal. In such situation we often hear the parents saying "don´t do that, they will see you" or "they will tell you off". Then I think "who are THEY?". Those "they" are not the old lady sitting next to the kid nor the businessman reading manga in front. "They" means "society" and we all grow up being taught the sense of collectivity and the importance of visibility. By watching each other, increase the productivity and with the feeling of being watched motivate Japanese salarymen. This makes more sense to me why working from home doesn´t work in Japan. This is the second feature of Don´t make Japanese salaryman work from home. The target of this survey done by tele-work association was major Japanese enterprises, about 5,000 of them. In theory, bigger enterprises have more facility in terms of maintaining the condition for tele-work including security matter. However, in the reality, nearly 70% of the enterprises were hesitating to introduce this system. Moreover, about 76.8% of those which hadn’t introduced tele-work system confirmed that they had no intention of introducing it. 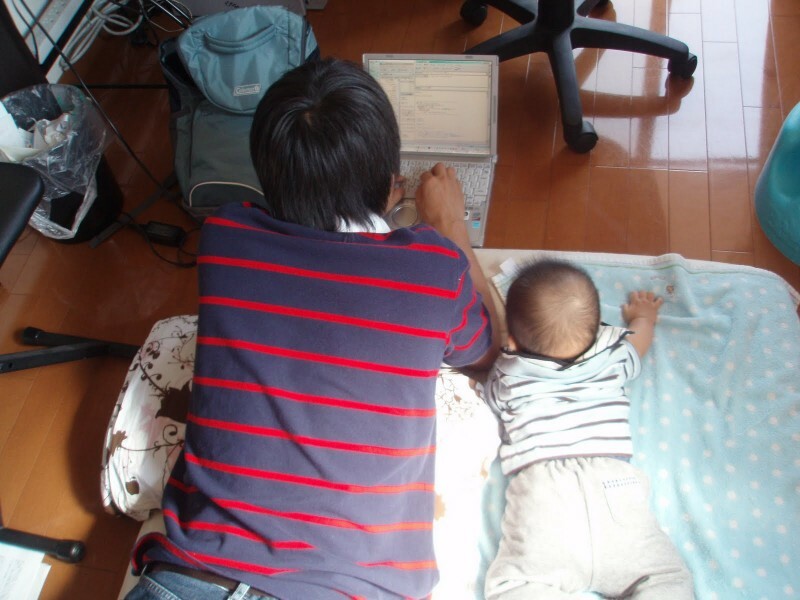 The survey showed how passive Japanese companies were towards working from home. At home, they can use as much as space they want. There should be more benefit working from home than in the office. The article shows the case in Panasonic, one of the Japanese major electric company, and is one of the enterprises which encourages their employees to work from home. They call it “e-Work” and has been promoting it since 2006 as they opened a new section, e-Work promotion team. In Panasonic, there are 35,000 office workers and 7,000 of them have been working from home. 7,000 seems to be a quite amount but it’s only 20% of all employees. And for those 20%, it wasn’t their choice either. They were forced to work from home by e-Work promotion team by imposing a quota for each month. It sounds harsh but after all this effort, yet they could make only 20% of employees work from home. Then what happened to these people after? Despite of their comment “it was quite effective”, most of them stopped working from home and came back to the office. It was “an experiment”. This means that although Japanese salarymen admit that working from home is effective and has an advantage, majority of them don’t take that opportunity. One of the most common reason is their living condition. 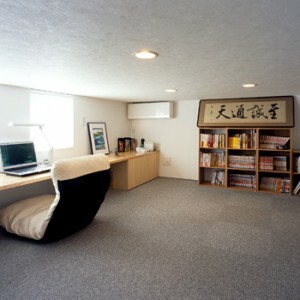 Having study room is their ideal lifestyle although not many Japanese housing allow them to. They can´t work from home because they don´t have a space. 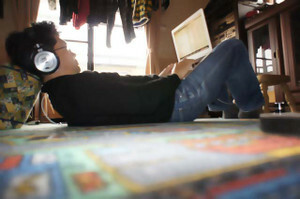 But they don´t need much space, they can work if there is a Little corner to put their laptop. The dining table is good enough. At work unless you are director, the company gives you only a small desk. So, working at the dining table gives you much more space than the office. I don´t think not many Japanese people can have a study like this but they prefer not working from home because of the space sounds to me an excuse. There should be another reason for not to do. Why Japanese salarymen prefer to put themselves in a gray suits, get on a packed train, set themselves at a little desk and work having their bosses around. 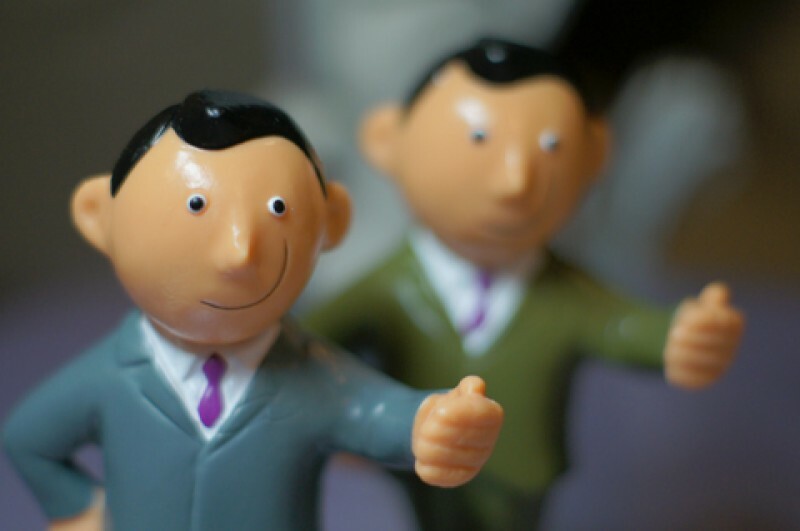 In the next article, we´ll get to the bottom of this strange behavior of Japanese salarymen. Japan is still suffering from the catastrophe, the government still promotes to save the electricity as much as possible. 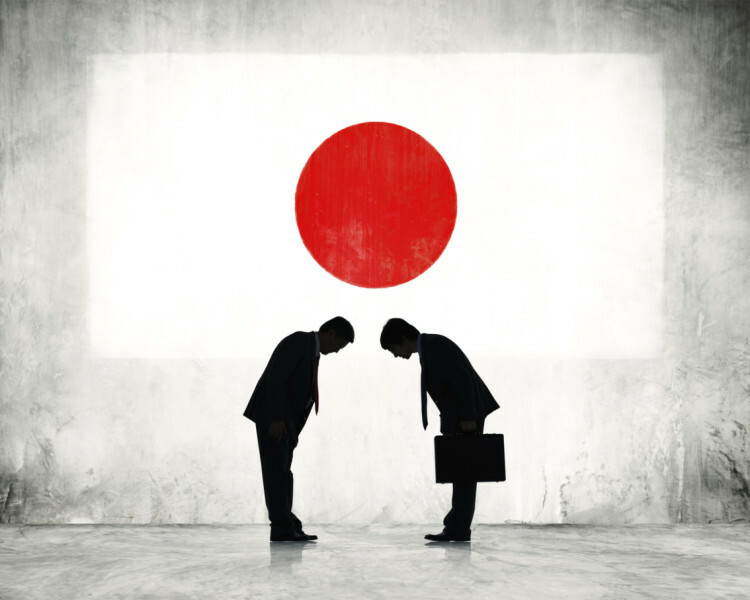 As one of the solution, the government now encourages Japanese salarymen to work from home. For many of you, this might be a smashing news, even some already grab his bag and a half way out of the office. On the contrary, it´s not so good news for Japanese salarymen (サラリーマン), but why? This is the first series of four which was a feature of JB Press a little ago. A man in his 30´s to 40´s is strolling in the neignbourhood during the weekday is really strange, looks quite suspicious. If he bumps into someone he knows, even more complicated. They probably think that he´s been laid off because of the recession (Risutora / リストラ in Japanese). This behaviour is the main issue which stops Japanese people work from home. ¨I can´t even go out to get lunch because I get worried about how they see me¨ says a man smiling wryly, who works from home twice a week. It used to be more complicated to work from home for the matter of security as they needed to take documents out of the office. However nowadays, most of work can be done with the computer unless you work in the factory. I mean, more work cannot be done without computer. This means that as long as there is the internet connection, we can work anywere. As the security system is improving, with an appropriate measure, it doens´t matter if you work in the office or in your house. Despite of this technological advantage, working from home doesn’t seem to spread between Japanese salarymen. Working from home is also known as “tele-work” and there is even “Japan tele-work association” has been established in Japan. And according to a survey of this association in 2009, more than 68.3% of Japanese companies didn’t apply tele-work system. Only 18.6% of the companies had introduced “mobile work”, means they allow the workers to work from outside only when they are seeing clients or during the business trip. The companies promoted working from home was just 4.8%. It’s been two years since this survey was taken, although I don’t see much change until now. I would be the first one hopping out the office to home and there, I probably with my computer working all day in my pyjama Tshirt and my hair sticking up. How wonderful it would be working in a beach like this and still get paid. 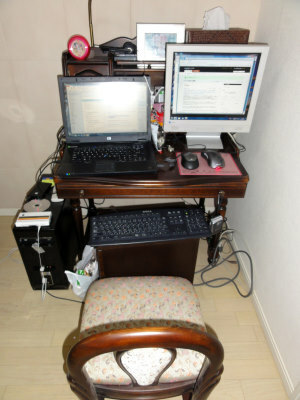 The next articule will tell us the actual situation of working from home among bigger Japanese enterprises.